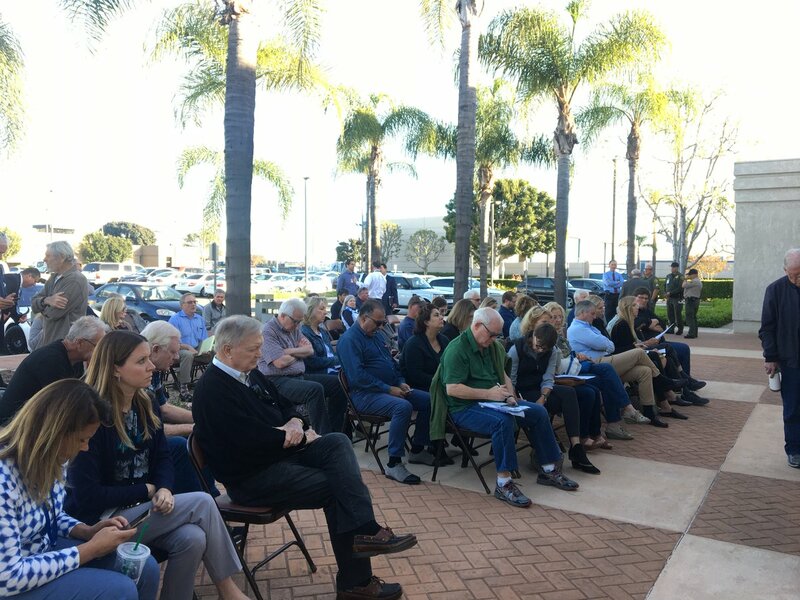 Elizabeth Brown, president of Laguna Greenbelt Inc, writes that Orange County supervisors are thwarting the will of voters by considering a commercial development Tuesday for 100 acres near Irvine’s Great Park, arguing the area should remain largely a wildlife corridor. A majority of the council has expressed concern over Supervisor Shawn Nelson’s proposal to open a 200-person homeless shelter on county land near the entrance to the Great Park. OC Veterans Cemetery: Strawberry Fields Forever? During a Friday press conference at the Great Park, Gov. Jerry Brown spoke to reporters after touring two competing sites for a veterans’ cemetery. While supportive of local decision making, Brown remarked about a site near the I-5 Freeway saying he liked the Strawberry fields. A final decision on the location could be reached by June. Mann: A Great Park without Great Gardens? Citizens feel a sense of betrayal and a lost opportunity because botanical gardens seem to have disappeared from the Great Park. But the current city council has the chance to rectify that. OC to Get a Veterans Cemetery, But Where? One side favors a 125-acre site on the former El Toro Marine Corps Air Station while the other wants to let a developer build it near the intersection of the 5 and 405 freeways.